Ust-Sobelevka, a village of about two hundred people, is located at the mouth of the Sobolevka River in northern Primorye, Russia. It is almost impossible to reach; the road to it is more a labyrinth of mud and water than a thoroughfare, and few people make the journey. It is a sullen, wind-swept place populated by hunters and those with nowhere else to go, and where the tallest structure in town is the concrete skeleton of an orphanage never completed. 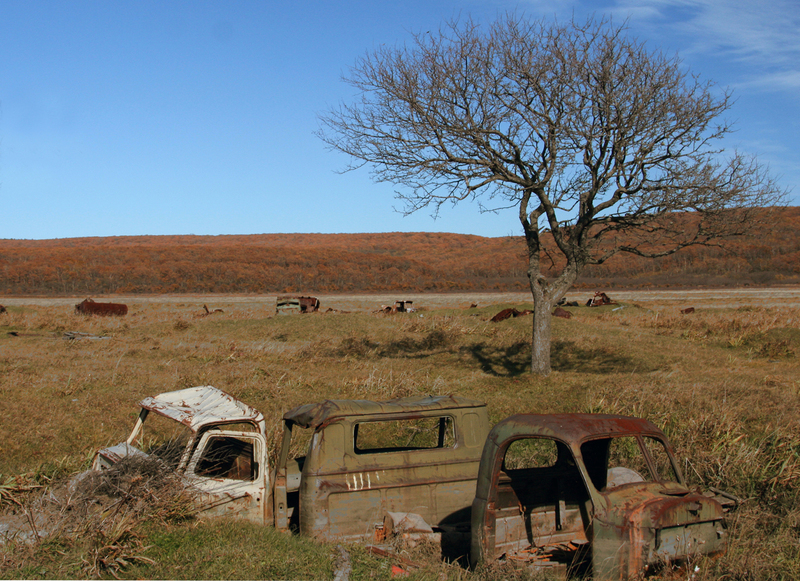 This field, which occupies the few hundred meters of space between the village and the Sea of Japan, is inexplicably littered with rusting trucks; gravestones mourning the passing of better days.